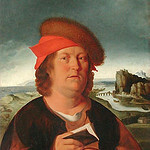 A German-Swiss Renaissance physician, botanist, alchemist, astrologer and general occultist who pioneered the use of chemicals and minerals in medicine. He believe that humans must have certain balances of minerals in their bodies and that certain illnesses of the body had chemical remedies that could cure them. During Parcelsus' time, the dominant medical treatments were specific diets, purging and bloodletting to help restore the body's balance and fight something on the inside, but he challenged this view saying that illness was a result of the body being attacked by outside agents. Thus, he is sometimes called the father of toxicology.